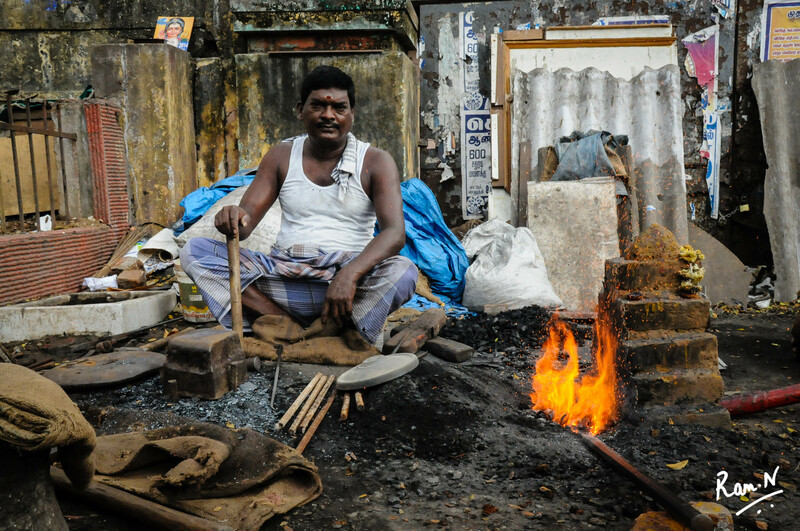 S Ganesan, now probably the last few of the Blacksmith’s in the city. You can spot him at the Kavignar Bharathidasan Salai (K B Dasan Road) and Thiruvalluvar Street Junction at Teynampet. Check more about him here –> LINK.